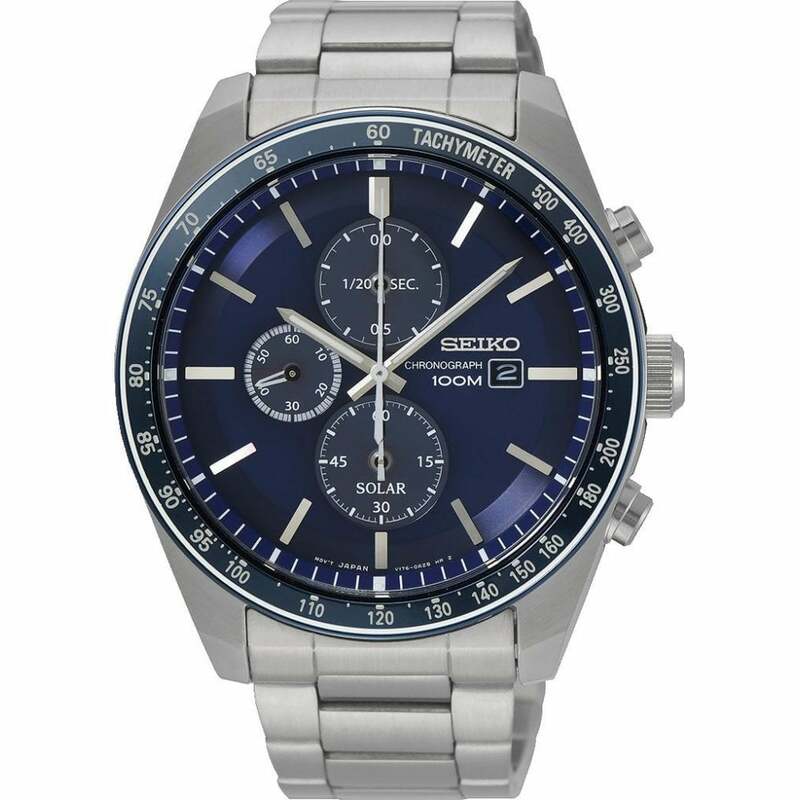 This Seiko SSC719P1 Stainless Steel Tachymeter Blue Dial Men's Watch comes with a 43mm case and is fitted with a stainless steel strap. Coming with a chronograph function and 10 ATM. FREE UK delivery and a 2 year Manufactures warranty.